Home / Members Cars / MK5 Edition 30 #57 Track/Race Build, Massive Gearbox Update! Moving on from the Mk2, still with the bug to get out on a track, I think it was inevitable I would end up with another VW. I looked at a few options but to be honest, I don’t know anything else other than Volkswagen. An Elise or Exige may have crossed my auto trader search but not for long, I always ended up back at the MK5 Golf’s or Scirocco’s. 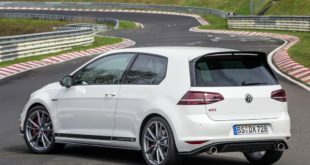 The Scirocco was a hard one to choose as it’s less supported in the market, Although the same chassis as the MK5 it just didn’t feel right so it had to be a MK5. I went to look at a “standard” GTI in Wales, A red 3 door manual with 68000 on the clock. 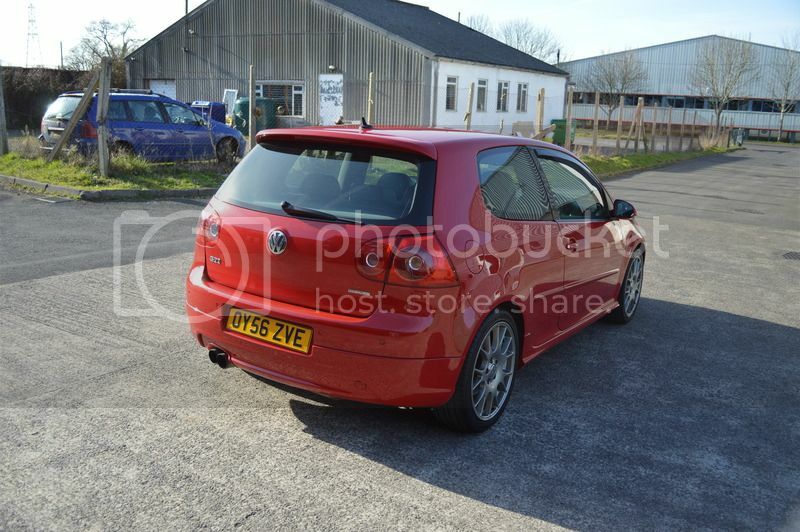 The only modifications I could see in the pictures were 2 red VW badges but at 68000 it had to be looked at. It was in a ford dealer so I went up on a Saturday. 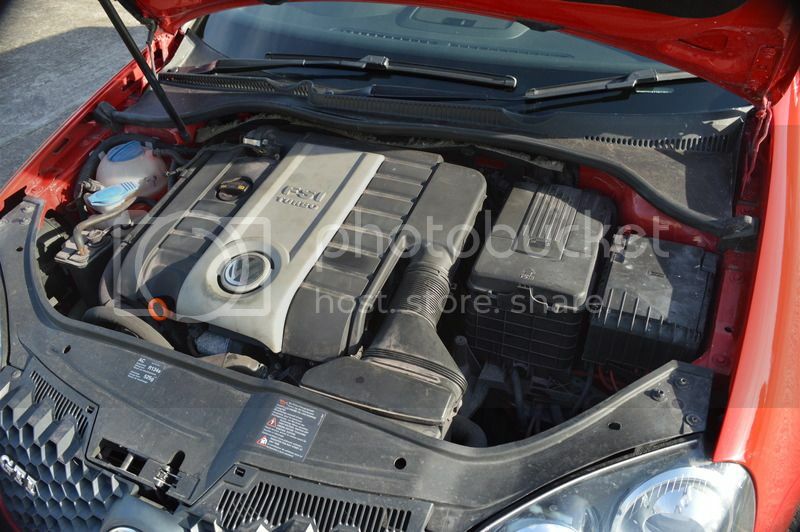 The car was in very good condition but not standard on the engine front by any means. Lots of metal pipes and a massive halfords cone filter. It drove well though so I made a cheeky offer but we could not agree on price so I walked away. In hindsight I’m glad I did walk away.I then went to look at one near Bath, A red 3 door manual with…err I cant remember how many miles on the clock but it was an edition 30 base car. It was already heavily modified into a track car, Running about 500 BHP! It was close to me so I had a look, Sadly it was not what I was after and decided I needed to build one myself A few weeks passed keeping my eye on all the usual spots. I had decided on an Edition 30 due to the better TFSI engine and it’s potential so this narrowed the search as only about 2500 were produced. One cropped up in wales again, Not a million miles so it was worth a look. It was a…Yes you guess it, Red 3 door manual with 94k on the clock. The price was not bad so I went over on a Saturday. The car was dirty as there was a building site next to the dealer but other than that it looked quite clean. I took it for a test and it went really well. The interior is in excellent condition for 94000 miles. We haggled on price and I managed to get a good price with me taking the car away there and then. A few phone calls to Admiral and I took it away! The drive home was good, No problems and it went well but I didn’t push it much as I wanted to give the engine a once over first. Previous Toyotec’s highlights from Club GTI Curborough May 30th 2016.